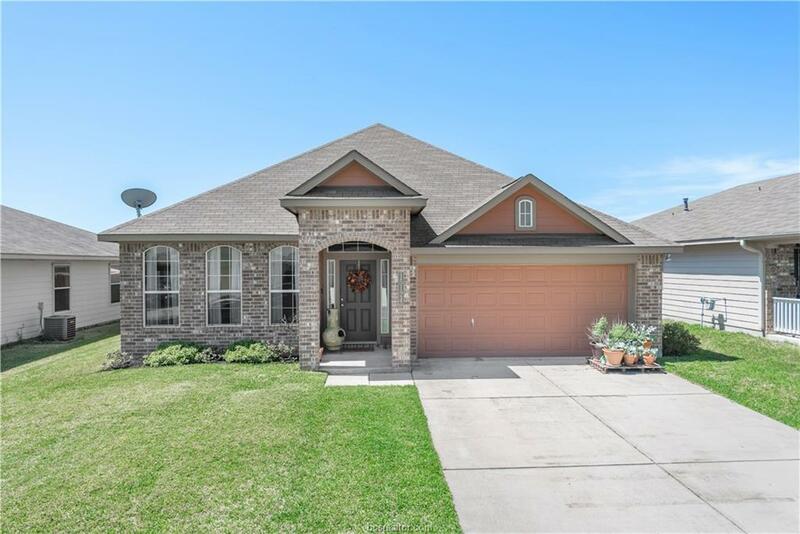 Well maintained, one-owner home located in growing south College Station. Home features bright, open floor plan with solid surface flooring in social and wet areas, a large flex room for an office, playroom, or second living, granite throughout, and a long study alcove fit perfectly next to the secondary bedrooms with a shelf, cabinets, and cord space. GORGEOUS backyard with patio and garden area. Room for whatever you need from playset to grilling! This home is beautiful and the color palate is perfect for any color accent!